Full disclosure, for a large part of my life, my default setting was misery and depression. I was accustomed to waking up in the morning with a dark heavy cloud around me. I accepted that feeling as ‘normal’ and perfected the habit of disassociation to block the fog. A habit that carried on through childhood and way into my adult life. Today, after addressing the stories I’d told myself for years about who I was, why I wasn’t good enough and what I didn’t deserve, I’m a different human – Jaz 2.0. Look at any successful person and you’ll see a failure who just kept on getting back up. I’ve been down but, even though it felt like it at the time, never out and if you’re reading this then you know exactly what I’m talking about! Emotions drive us. We want to be happy, yet we avoid pain and end up succumbing to fear. 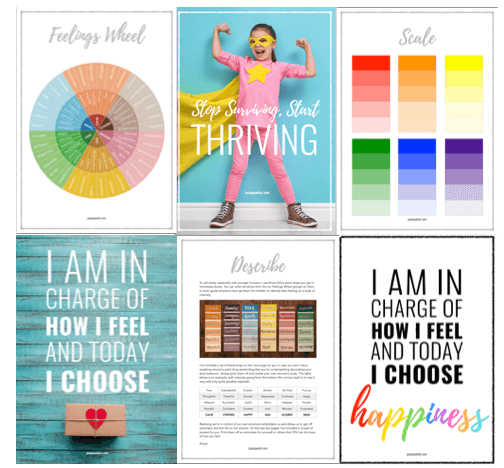 Happiness isn’t about being upbeat and positive all the time, it’s about being able to regulate our emotions and learning to be comfortable with being discomfort so that we can see things as they are – not worse or better than they are. 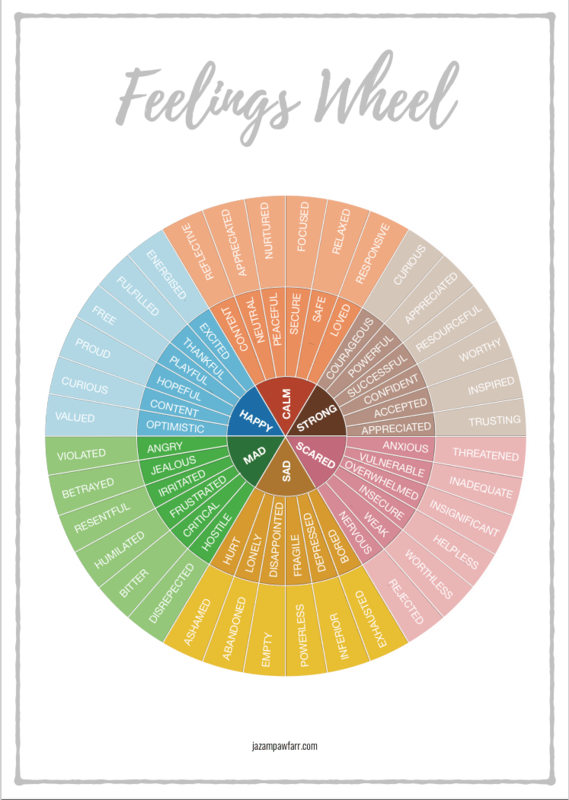 Use my Feelings Wheel to dig deeper. The six basic emotions in the centre are surrounded by words that help you explore the root of your emotion.